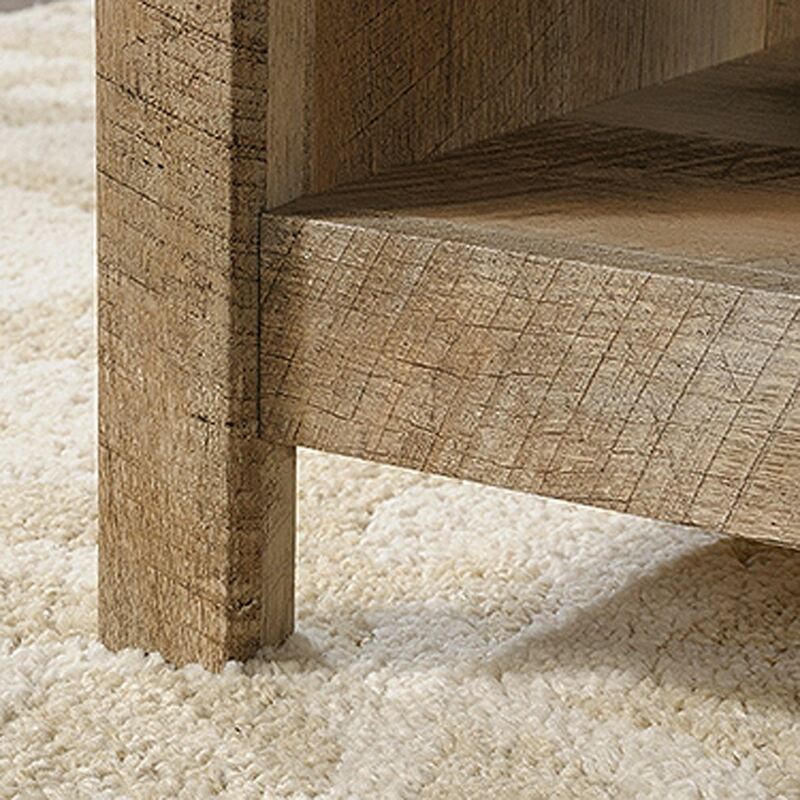 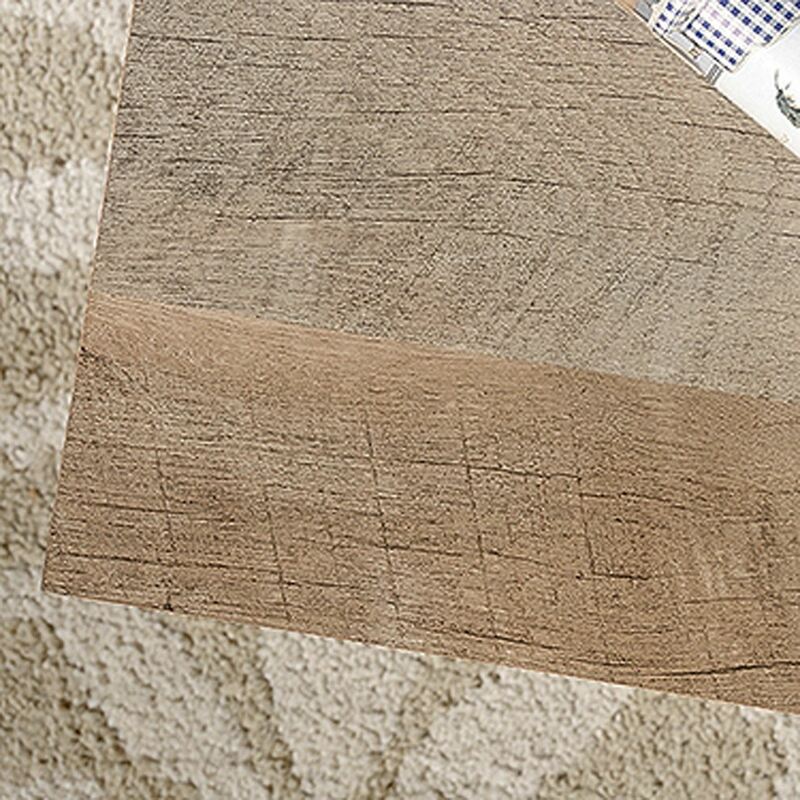 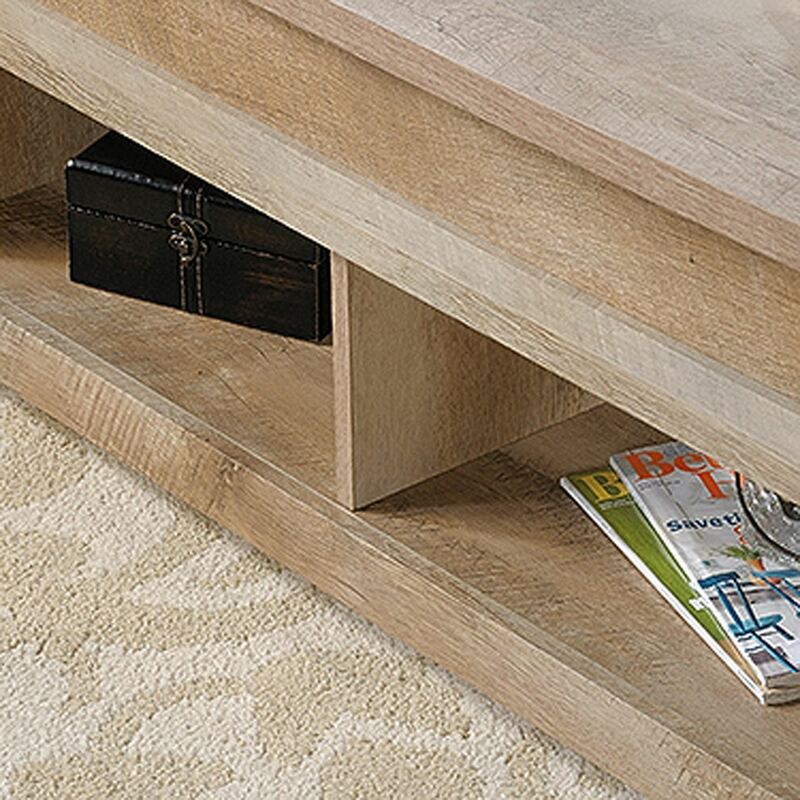 Cannery Bridge Lift Top Coffee Table Lintel Oak By Sauder. 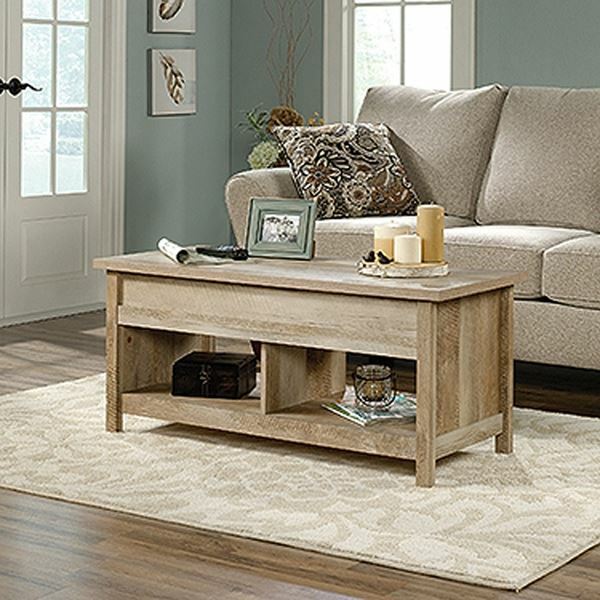 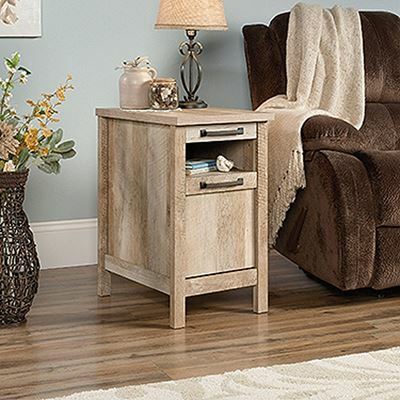 Give your home a classic new look with this vintage looking lift top coffee table from the Sauder Cannery Bridge collection. 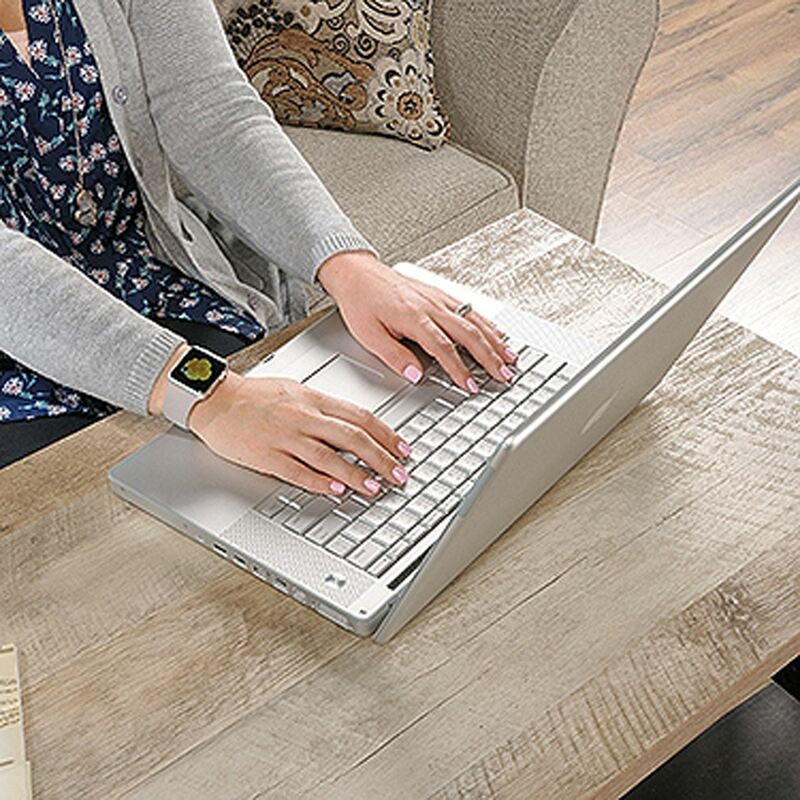 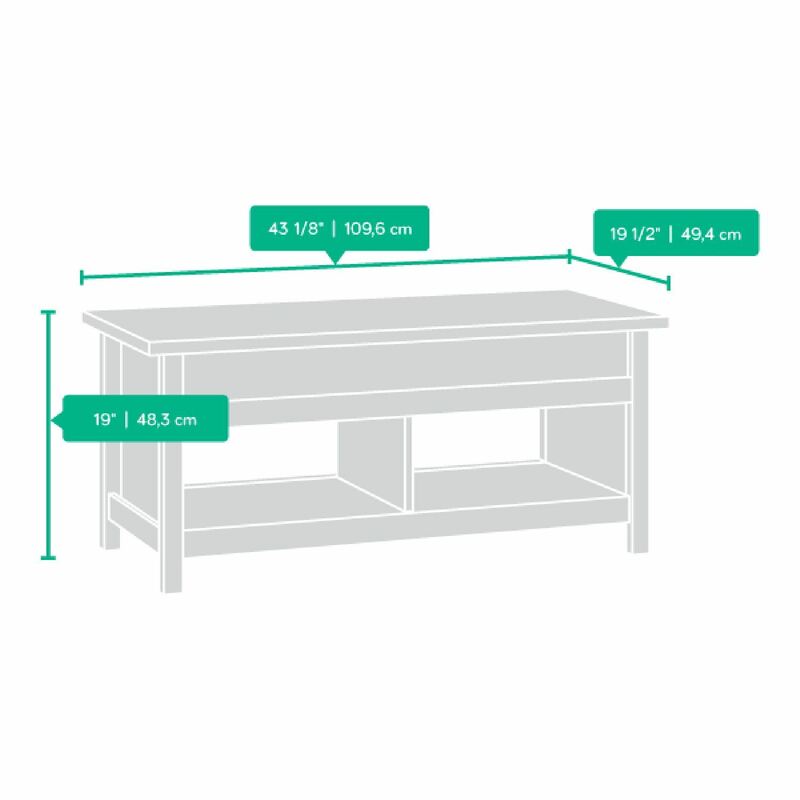 Top lifts up and forward creating a versatile work surface so you can surf the web or eat dinner while relaxing on your couch. 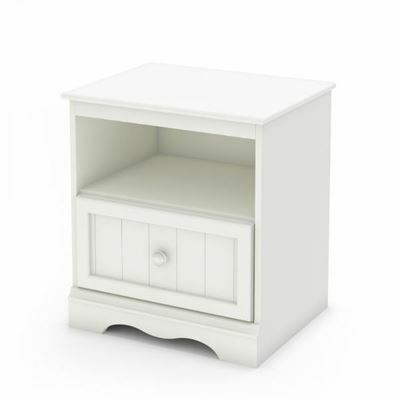 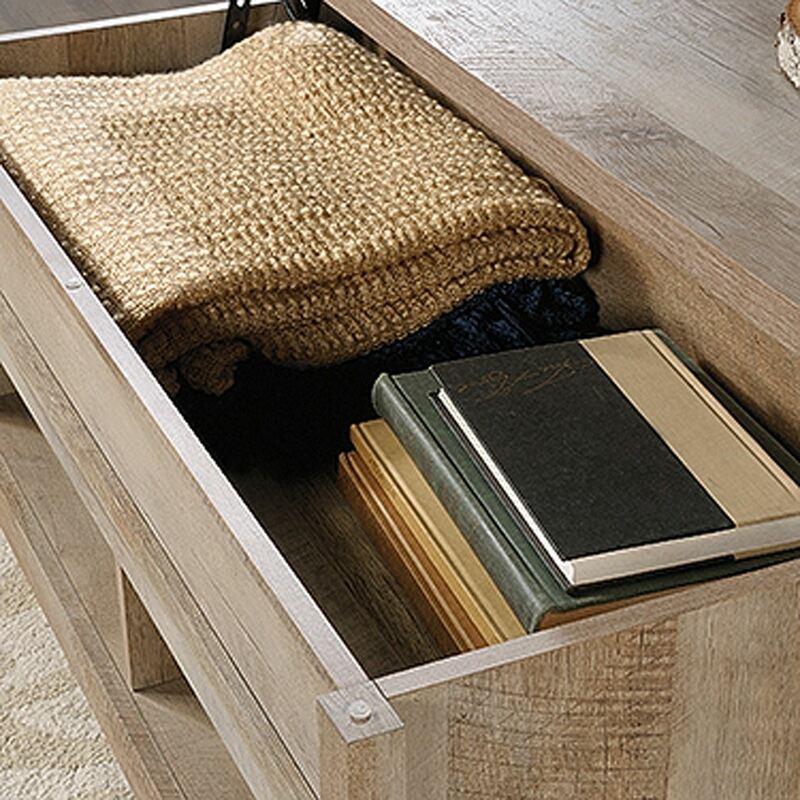 Other features include hidden storage beneath the top and open shelves for storage and display. 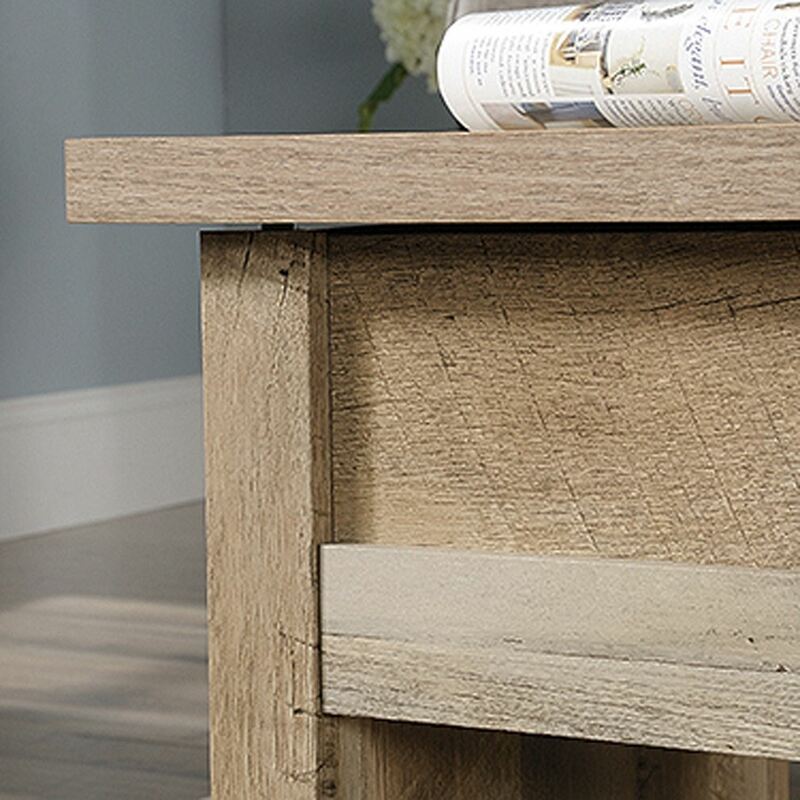 This coffee table is finished on all sides in Lintel Oak, making it a versatile fit for any room in your home.